Young Roman Taylor struggles to keep his family’s small farm afloat as the countryside heals from a devastating world war. And when a boy with a jetpack, Jet Jones, suddenly crash lands into their barn, Roman believes the secrets of this visitor’s past may be the key to their survival. But Jet, a robot made to look like a boy but actually built for battle, has brought more than even he knows to the farm and Roman may learn that some secrets are best left untold. 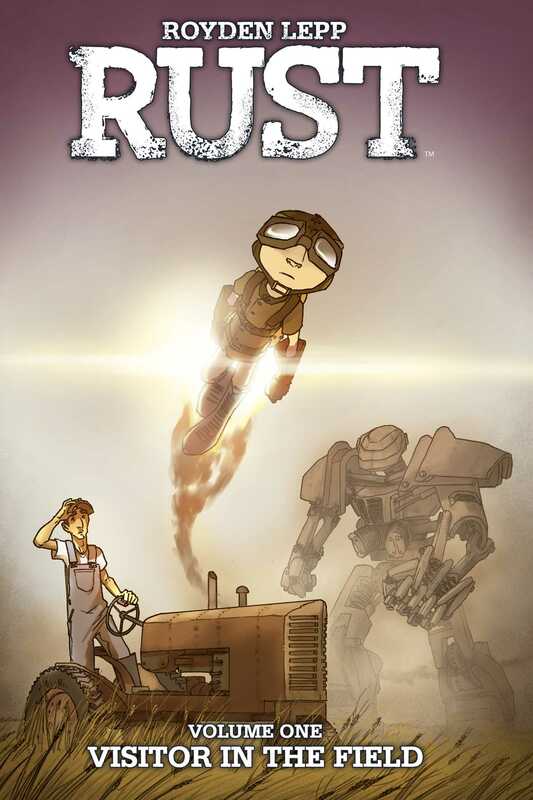 Royden Lepp’s Rust: Visitor in the Field chronicles Jet Jones’s critically acclaimed adventure as the rocket boy tries to find a new home and something worth fighting for in this high-octane ode to family ties.